﻿ Raido's Stuff - PS2 - Simple 2000 Series Ultimate Vol.1: Love Smash! 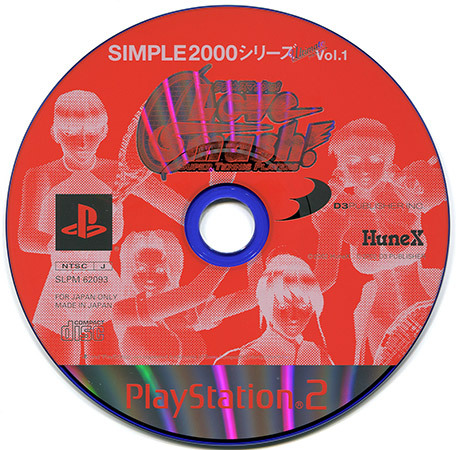 English Title: Simple 2000 Series Ultimate Vol.1: Love Smash! Japanese Title: SIMPLE2000シリーズ アルティメットVol.1 ラブ★スマッシュ! I'm not really sure what the "Ultimate" in this sister series to the better known Simple 2000 series signifies, but it sure has nothing to do with the quality of the games. 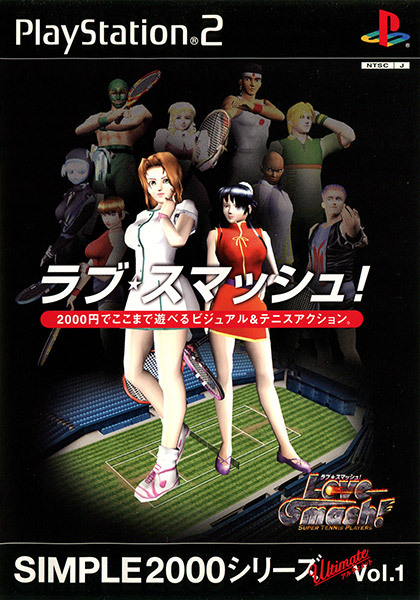 While I could talk about the absurdity of making what is essentially Dead or Alive Tennis -- seriously, it's full of plastic, jiggly girls, and most of the cast are ersatz material -- but suffice to say this is just a godawful unplayable mess. Each character has different styles and techniques, but it's so damn hard to just hit the ball you'd never even know. This heaping pile of crap somehow managed to get two separate updated versions, which gave up any pretenses and placed the focus squarely on the shapely female cast.